September 28, 2016 - Changes in Your Life? 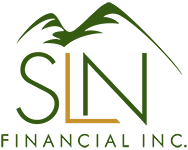 Revisit Your Insurance During These Key Events | SLN Financial, Inc.
We all know that life isn’t static. A constant ebb and flow of events like family developments, career changes, and retirement inevitably bring changes to your financial needs and lifestyle. When these events occur, they can often affect whether or not your insurance coverage still reflects your needs. To help you prepare, here are some key events that should prompt you to revisit your life insurance and long-term-care coverage. Sometimes, career changes also change your household income. Whether that means you’re going into business for yourself, becoming a stay-at-home parent, or receiving a promotion that substantially increases your salary, income changes affect the type of life insurance coverage you need. Remembering to revisit your policies whenever your career and income change will help you prepare for your new financial profile. Once you enter the retirement phase, both your life insurance and long-term-care insurance should evolve with you. Where you are in your financial life will guide what steps you need to take. Maybe you've reached a level of financial stability where you no longer need life insurance, or you still may desire that protection. Either way, if you're entering retirement, revisiting your life insurance is a must. Plus, ensuring you’ve lined up long-term-care coverage for later in life when your healthcare needs may increase is a beneficial step to take for yourself and your family. Overall, checking your life- and long-term-care insurance policies annually is a great habit to develop — because it can keep you protected and prepared for life’s varying events. If you’d like to talk with someone about your insurance protection, we’re here to help.